When Beto O’Rourke made an appearance at El Paso’s Don Haskins Center Thursday night, music fans thought he might take the opportunity to finally announce his much-rumored 2020 presidential run. Instead, the former candidate for U.S. Senate came mostly to see Metallica’s sold-out show in El Paso, as Newsweek points out. According to the El Paso Times, the former punk bassist posed for photos with fans, but notably remained silent on whether or not he had any plans to run for president. 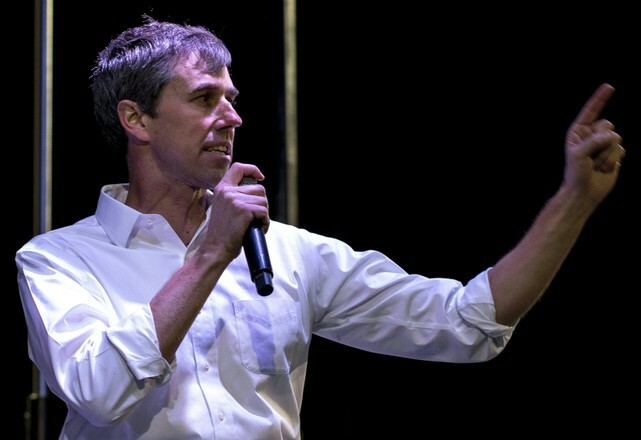 O’Rourke grew up in El Paso before attending boarding school in Virginia and making his way to Columbia University for college. In Texas, he played bass in a band called Foss with Cedric Bixler-Zavala, later of At the Drive-In and the Mars Volta. After leaving New York, O’Rourke served on the El Paso City Council and served three terms in the House of Representatives before losing his Texas Senate race to Ted Cruz. In September, he referenced the Clash’s 1979 song “Clampdown” in a debate, and performed with Willie Nelson on multiple occasions during his campaign. Last month, HBO announced that they’d be distributing a new documentary about the campaign after it’s SXSW premiere this year. See photos of the concert over on the El Paso Times’ website.